It is not easy to survive in this tough market without having any college degree. Our lives revolve around our educational system, and we link everything to it. That is why we keep the college degree imperative. 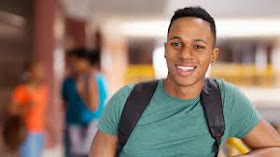 According to a report released by the organization for Economic Co-operation and Development out of all the college students, only 46% of college students finish their college program and get the degrees. The same report shows that the average graduate ages 25 to 32 and earn $18,000 more annually than their non-graduate counterpart. That is where the concerns of the non-degree holders are increasing. So how these non-grads and without any formal college education can earn their livings? This is the multi-billion dollar question on which thousands of lives are on stakes. These people are trying their luck in different work areas so they can earn their living. Being a philanthropist, I feel that this is my duty to educate my readers about those ways through which they can make great money even without having a college degree. Dissertation help service business is an easy business to start as compared to other businesses. There is not a lot you have to do and do not even need any long contacts or dynamic website to get started. However, you will still require some talent or skills for which you can get paid by the people over and over again. These skills should be useful for the people or for the organizations. For example, content marketing, web designing and social media consulting can be some skills for which you doesn’t require any degree and still can get a job in different organizations. However, these jobs will not earn a lot for you, and you will be earning much less than a graduate person earn every hour. Though, you can still improve your earning by improving your packages together and focusing on the value. For example, if you are providing social media consulting, then put value in your services and offer your client to provide sales in return for your services. If you don't have any skill or talent, then still there are some methods through which you can earn your living. Try to get some capital enough to buy any real estate. Anyone with the capital can jump into real estate and rental property business. However, just like every business, you need to learn about that first before starting it. That is why it is important to know about property management first instead of just investing in it without any knowledge. It is hard to understand all the technicalities of purchasing and renting out the real estates on only on your own. That is why it is better to team up with an experienced developer and venture into commercial real estate through crowdfunding opportunities. Crowdfunding is one of the best ways through which you can get access to commercial property developments with just the capital of $5,000. Moreover, these types of schemes are very beneficial for the investors too because they can save their time and resources by looking at pre-vetted deals to make better decisions. You only need the experience for the consultancy instead of the college degree. Start from offering the training to the bookkeepers to teaching the business managers. Make yourself a consultant and get paid only by sharing advice and suggestions on everything from lean management to accounting. All you would have to do is to think about the problems and their solutions to stabilize the businesses. I have seen many consultants who don't have any college degree, but their pieces of advice and suggestions are even followed by the Master degree holders. Moreover, the consultants are the independent contractors and freelancers that are why they enjoy the ultimate flexibility and ease of work. Because they only work on the contractual bases that is why they can work short-term as well as long-term with any single company. To equip yourself more, the doors of diploma mills are always open. Get some certificates and the diplomas to get more in-depth industry knowledge. Just like providing any service, you can also build a product which can solve the problems of the masses. You can even publish any book if you have writing skill which can help the student or any particular group of public. Moreover, the internet is full of people who are selling their own manufactured products and making thousands per month. These products are easy to make but are very useful. Either you design something new or manufacture something which is already in the market which is loving by the people too. You must have a lot of things in your home. Everyone has pressure washers, powerful tools and office furniture. There are many rental companies which started with only one person and now has become one of the biggest names on the Craigslist. Renting or setting up the bounce houses on the birthday parties or providing material for other events are just one of the many services these rental companies can provide. Keep renting out your things and generate enough capital to increase your range. Market your business effectively and enjoy setting up your own business without investing a lot and build your own company without having any degree. There is a misconception that without the degree you cannot find any job. There are many jobs where the non-degree holders can also apply and can get the permanent place too. For example, to be a gaming manager in the casino, you don’t need to have any degree. Just the right set of skills and some good experience is enough to get this job. Even the prestige positions in the police department like for being a detective, there is no requirement of any degree. Just start with an ordinary cop and make the stairs for yourself up to the detective post. That is why people without having any college degree should not worry about their careers because there are a lot of different things they still can do to make their lives better.